My Tasty Curry, by Rekha K.
India's Tech Guru, analyst and television presenter. Managing Editor-Technology for NDTV. Recently made his red-carpet debut at the Cannes International Film Festival. As a columnist, he writes on technology and gadgets for major publications, including Hindustan Times, GQ, Outlook, Mansworld, T3, Travel and Leisure International, The Man, and M magazines. 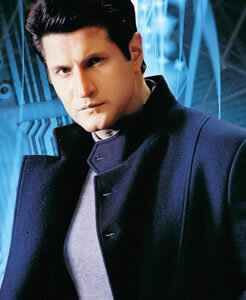 Gul is an Actor and Producer who has been part of the Entertainment Industry for the last 13 years. She has emerged as a thinking actor; her choice of work setting her apart from her contemporaries. Apart from being an actor, Gul is a responsible activist and powerful opinion maker known to speak her mind fearlessly on a variety of issues covering a spectrum from strategic & foreign affairs to safety of women and citizen responsibility. Amrish Kumar, Creative Director at Ritu Kumar, is responsible for brand creation, design architecture and strategic business management. At the helm of affairs for one of India’s largest & most respected luxury apparel brands since 2002, Amrish has been instrumental in steering the company into a high growth trajectory. His contribution has been to translate a small scale, labor intensive boutique organization into a scalable fashion oriented company. 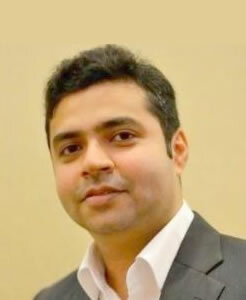 His significant achievement lies in innovating and implementing a unique supply chain and retail orientation for the business. 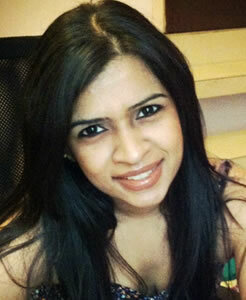 Karthika VK is Publisher and Chief Editor of HarperCollins Publishers India. 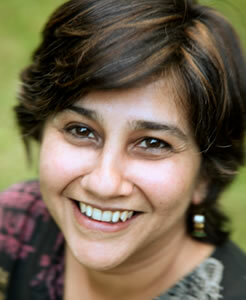 She started her career in publishing with Penguin Books India in 1996 and moved to HarperCollins in 2006. Under her lead, HarperCollins has published successful and award-winning writers and has nurtured a great deal of fresh writing talent. 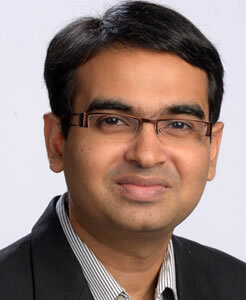 Amit Agarwal is a personal technology columnist and founder of Digital Inspiration, a popular how-to blog since 2004. He is the chief curator of the IndianBloggers.org directory. Amit has a bachelor's degree in Computer Science from IIT Roorkee and, other than blogging, he also enjoys writing web apps and scripts that enhance productivity. 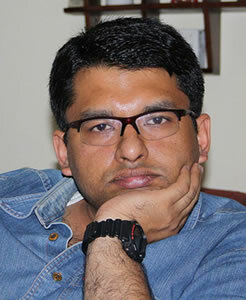 Sidin Sunny Vadukut is a columnist, writer and blogger. 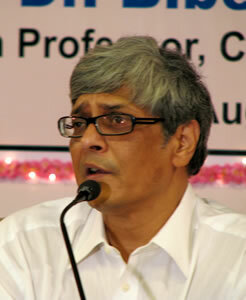 He is currently the managing editor of Livemint.com. 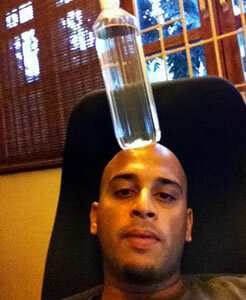 In January 2010, Sidin's debut novel Dork: The Incredible Adventures of Robin 'Einstein' Varghese was published. This is the first part of the Dork trilogy and takes a satirical dig at the management consulting industry. The next installment in the Trilogy, "God Save the Dork", set in London was released in November 2011. The final edition, "Who let the Dork Out" was out in the markets on the 4th of November, 2012. Judy Balan is the author of Sophie Says and the best-selling Two Fates: The Story of my Divorce. As a writer, she loves dabbling in different mediums - blogs, plays, columns, novels, movies, sitcoms, you name it - she's either done it or reading books about it, while she waits for the opportunity to present itself. She is also a single-parent to 7 year old Kiara and while she doesn't always get the juggling right, she believes in approaching life as one, big, fascinating laboratory with exciting experiments just waiting to happen. You may find all her theories based on said experiments, on her blog - Woman and a Quarter. Asia Pacific Digital And Social Media Strategist at Intel. He is currently a part of the Asia Pacific Brand and Campaigns team at Intel, with his focus areas being Social Business Strategy, SEO and Intel Inside Program. On a personal front Jamshed is passionate about mentoring ‘Social Community Enterprises’ that have the objective of making profits but as part of their business model offer a meaningful solution to a social problem in the communities we live in. Writer, entrepreneur and a youth expert. Author of five bestselling books on entrepreneurship - Stay Hungry Stay Foolish, Connect the Dots, I Have a Dream, Poor Little Rich Slum and "Follow Every Rainbow. As reported by the New York Times, collectively her books have sold over half a million copies and have been translated in numerous languages. 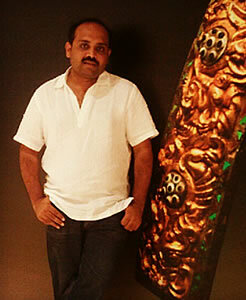 Ayappa started his career as a copywriter at Orchard advertising. 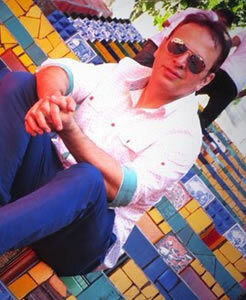 After a 2 year stint at MTV, he moved to FootCandles as an advertising film director. 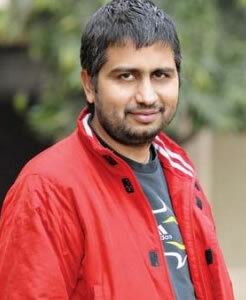 Many national and international awards later, he founded Early Man Film in April 2013. He has done the Flipkart, BigRock and Bournville ads to name a few. Founding Partner at Morpheus Venture Partners & Serial Entrepreneur with experience of more than 10 years and 5 startups. 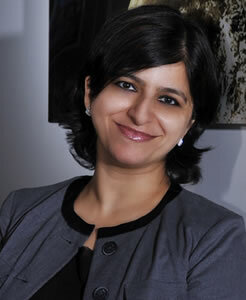 In her role as the Director Communications, Poonam is responsible for the image and reputation of all Nokia entities in India, Middle East and Africa. Spanning 90 plus countries, she manages the business and brand perception for Nokia in a cross section of emerging, developing and developed markets. 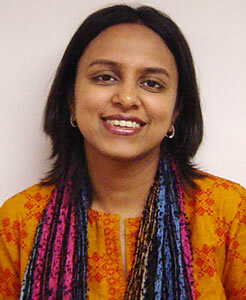 Poonam has been in Nokia for seven years and is a Nokia Country Board Member. Mallika Dutt is founder, president and CEO of Breakthrough, a global human rights organization that uses the power of media, pop culture, and community mobilization to promote human rights values. 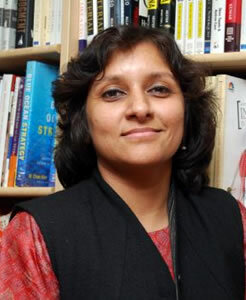 Dutt has twice been named one of Verve's Top 50 most influential women and has received multiple awards in recognition of her human rights activism. Dutt is also a co-founder of Sakhi for South Asian Women, and sits on the advisory boards of several other human rights, multimedia and philanthropic organizations. Creative director of Technicolor’s Animation and Games group. 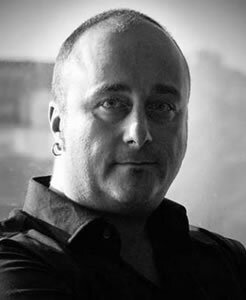 Before joining Technicolor, Owen was Director of Animation and Cinematics at award wining Relic Entertainment, based in Vancouver, Canada; proud to have collaborated with some of the best game designers in the world. Projects he directly contributed to include the Company of Heroes and Dawn of War series. Rochelle won the Femina Miss India International 2012 crown. After representing India at the Miss International pageant in Japan and placing in the top 10, she is now based in Mumbai and has been traveling across the country making various appearances, hosting events and featuring in many print and TV commercials. Recently, she hosted season six of the Indian Premier League. Roshan Abbas is a Radio jock, theater actor, tv anchor, emcee, impresario, gadget freak, event manager, writer, director, and part time singer. He started Encompass in 1996. As a radio jockey he created over 3000 hours of radio programming winning four awards at the Radio and Television Artiste Awards in India. Having enjoyed a career as a successful TV host for shows like ‘Family Fortunes’, ‘Born Lucky’ and ‘This is Your Life’ he has also been awarded as ‘Best Television Show Host’ at the Annual TV Awards in 2001. Roshan also served on the promo jury for Cannes Lions 2008. 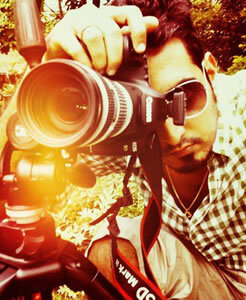 Banker turned music producer turned professional photographer, Kunal Daswani has donned many hats. But once he got a camera in his hand, there was no looking back. Fast forward a few years and he’s become one of the hottest photographers in the South, working with the biggest celebrities, top ad agencies and best brands. What does he see in his future? Lots more stories, all told through a lens of course. Vikas Khanna is an award winning, Michelin Starred Indian chef, restaurateur, food writer, filmmaker, humanitarian and the host of the TV Show MasterChef India. He is based in New York City. 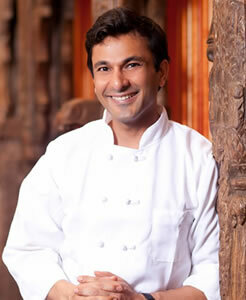 He has authored several books, including “The Spice Story of India”, “Modern Indian Cooking” and “Flavors First”. 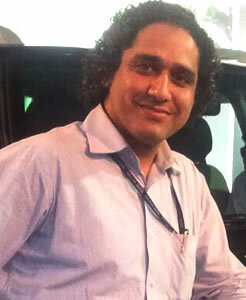 Vikas was awarded a Michelin Star for his restaurant Junoon by Michelin Guide. 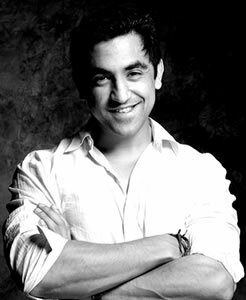 Vikas was also voted "New York's Hottest Chef" in a poll conducted by Eater. Manager - Influencer Communications at Hewlett-Packard. 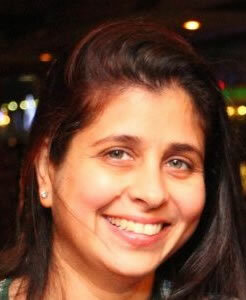 Seema has 15 years of experience in the field of Marketing with a focus on marketing communications. She has handled many special activities in social media including blogging and CSR based activities. An actor and producer and more importantly a devoted Mum! She has done about 15 films as an actress, (Page 3, Masti and Khosla Ka Ghosla to name a few) and also several ads. She successfully turned her blog about ‘the most incredible journey of her life – bringing up kids’ into a multi-platform show which she conceptualized, hosts and co-produces with The 120 Media Collective. 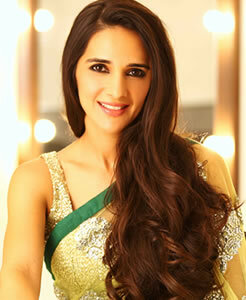 Her show, ‘The Tara Sharma Show – Diaries of a New Mum’, after two successful Seasons is going into third season. Anand is a physician-scientist at the National University Hospital, Singapore- jointly appointed at the Department of Haematology-Oncology and the Cancer Science Institute. He works on the development of biomarkers to guide 'tailored' chemotherapy. Anand trained in medicine at Christian Medical College Vellore, holds a Membership of the Royal College of Physicians (UK), and did his PhD in Oncology on a Gates Scholarship at the University of Cambridge. Tanvi Shah is an award-winning singer, songwriter, and one of the most sought after voices among the new generation of playback singers in the music industry. Tanvi won the prestigious Grammy Award for Best Song Written for Motion Picture or Other Visual Media for her Spanish lyrics for the song “Jai Ho” from Slumdog Millionaire, an award she shared with maestro A.R. Rahman and lyricist Gulzar. She is the first Indian woman to have won this coveted award. 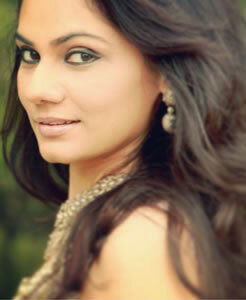 Following this roaring success, Tanvi featured in Snoop Dogg’s song, “Snoop Dogg Millionaire”. Divisional Manager – Digital Marketing for the passenger vehicle business unit at TATA Motors. He was conferred the prestigious ‘20 Best Digital Marketing Professionals' at the 21st Edition of World Brand Congress & CMO Council on 22nd November ,2012. In his previous assignment, he was instrumental in setting up & scaling e-channel business for Apollo Munich Health Insurance.